The valleys and lower elevation mountains are starting to thaw, the grass is starting to appear again, and things are starting to warm up. All tell-tale signs that mud season is here. 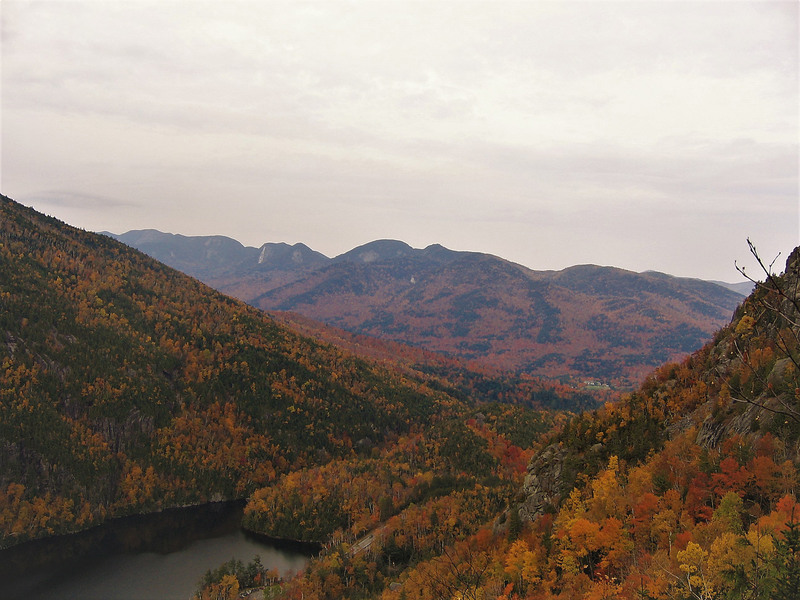 In the Adirondacks, we know this also means that trails will soon be a lot more crowded. 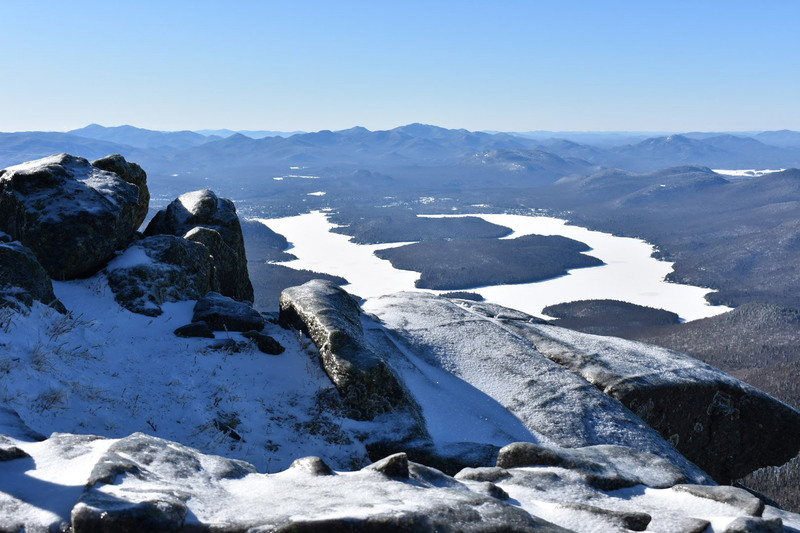 In the last few years, the number of people who want to get outside in the Adirondacks has steadily increased, and for good reason: It’s beautiful! 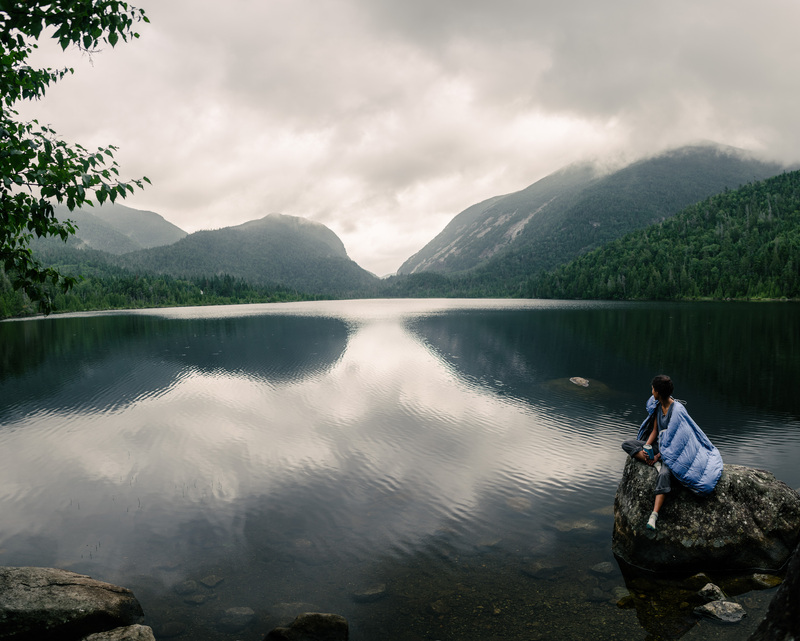 Total visitors in the Adirondack Park has risen from 10 million in 2001 to more than 12.4 million in 2018. 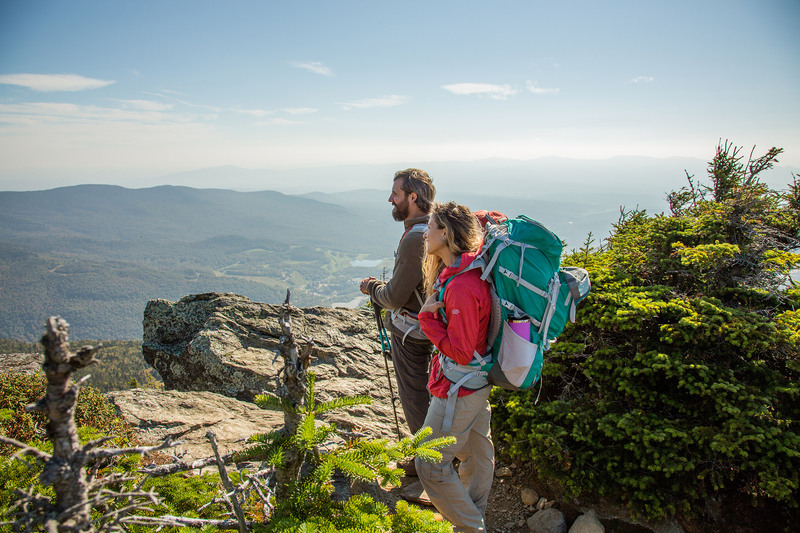 Of that, 88 percent of visitors come to the Adirondacks to hike, so we may see a record number of hikers this year. 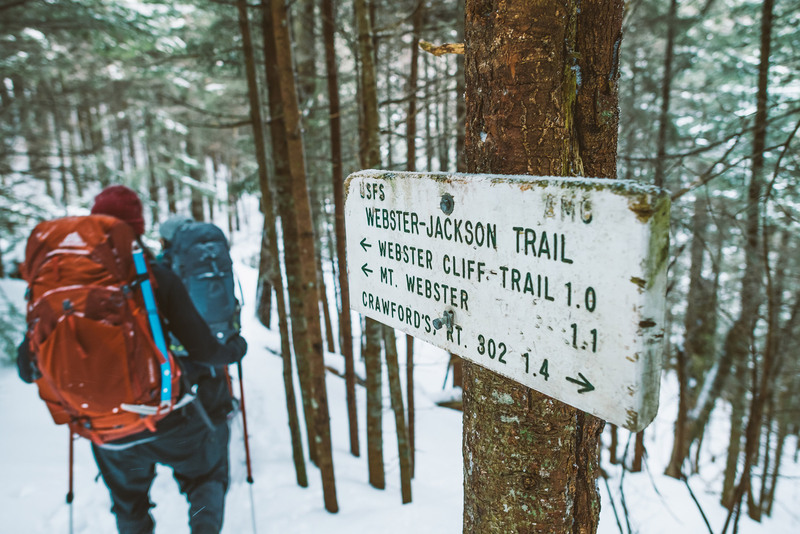 But right now, just as hikers are awakening from winter hoping to get out and enjoy the trails, the trails are at the height of their vulnerability. 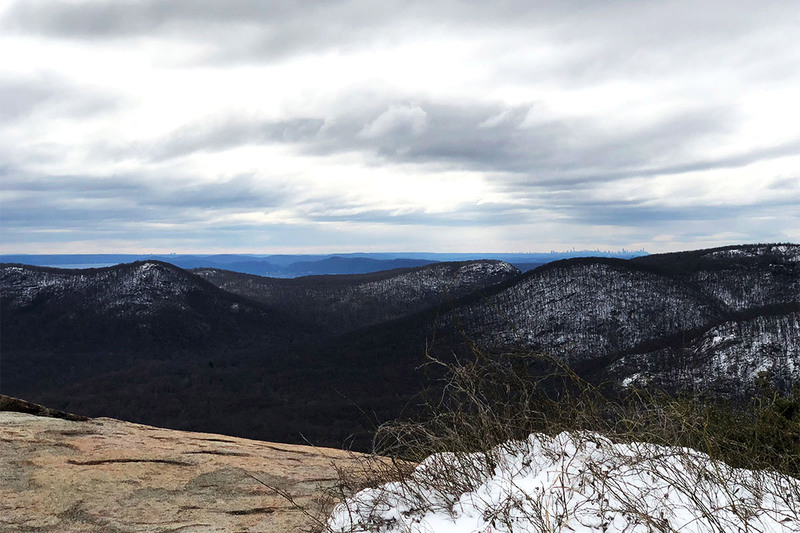 Between mid-April and early June when the snow melts and the spring rain begins, the ground is still semi-frozen and it causes muddy conditions that cause irreparable damage to trails as people trek across them. 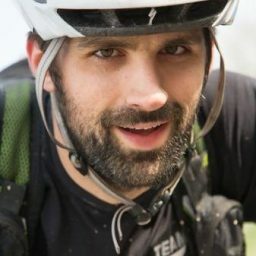 The good news is that there are a few things that you can do to stay on the trails this spring without damaging them. Know the rules and regulations of the land you are visiting. Lots of public lands and specific trails are seasonally closed to hikers to prevent damage. Check the weather and trail conditions before you go so you can pack and dress accordingly. Wearing waterproof shoes will make sure that you’re always comfortably able to walk through, not around mud, preventing trail damage. When hikers step through flat areas with insufficient drainage, it makes a mud pit. Then hikers tend to step around a mud pit, making the mud pit even larger, and larger. Then hikers will step around the mud pit, and trample vegetation around the trail, creating “herd paths”. Then these herd paths become muddy themselves and the cycle continues. Make sure to stay on the trail to prevent trails from widening needlessly. Steep trails with thin soils are the most at risk for damage during this time of year, so picking a trail at lower elevation is the best thing you can do to help reduce your impact. A south-facing trail is generally a good pick because the trails are drier. 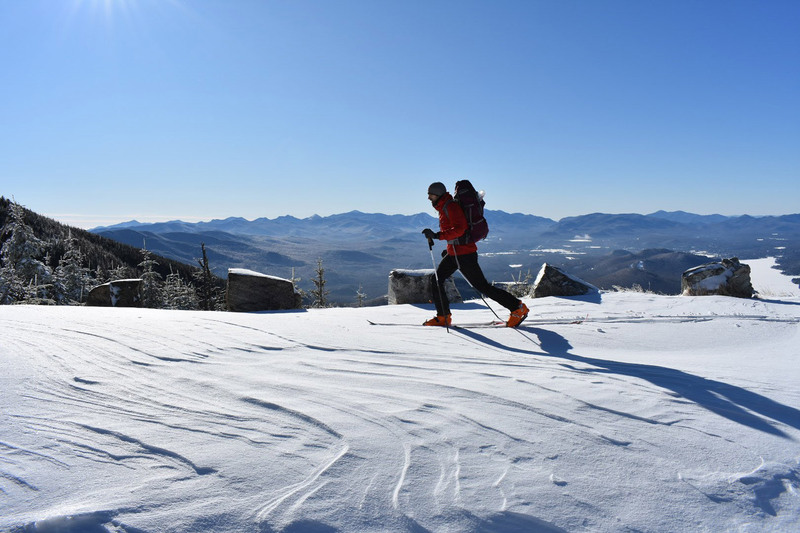 Near the High Peaks Region, the New York State Department of Environmental Conservation suggests a few alternatives that will give you a great experience, without compromising the trails. 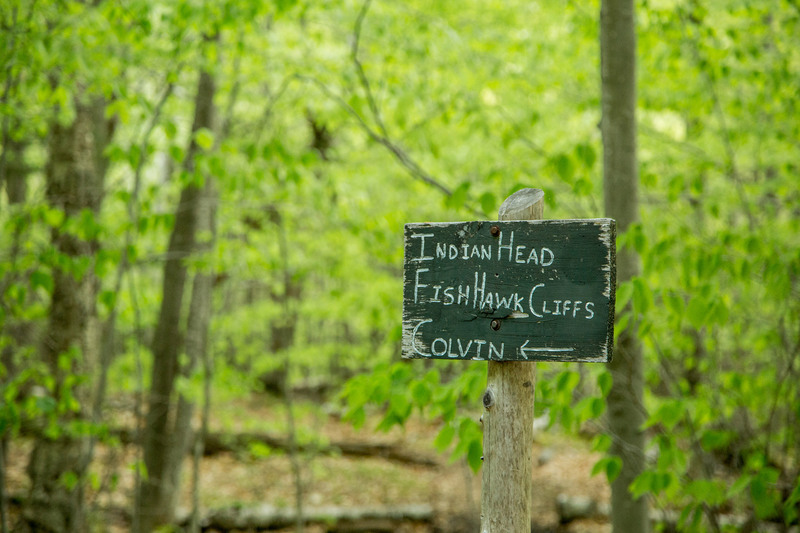 These other hikes would also make great springtime alternatives. 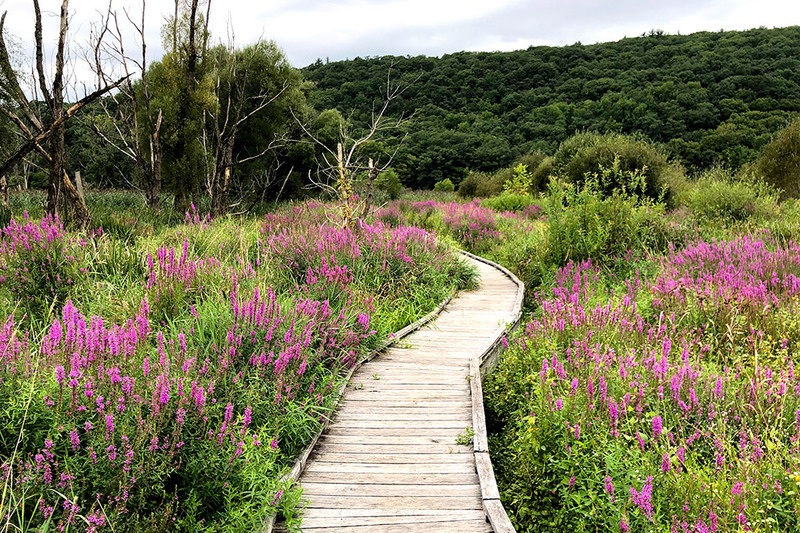 Or, for a different, less crowded experience, try one of the many low elevation loop trails in the Pharaoh Lake Wilderness, Cranberry Lake Wild Forest, or West Canada Lake Wilderness. 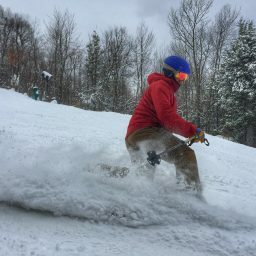 In the Adirondacks, we generally use this time of year to let the trails rest and plan our adventures for the next season. But if you must itch the hiking scratch and enjoy the Adirondacks, please do so responsibly. Accidents happen and plans go awry—That’s just part of what makes an adventure. But when they get really bad, oftentimes hikers need a little help. 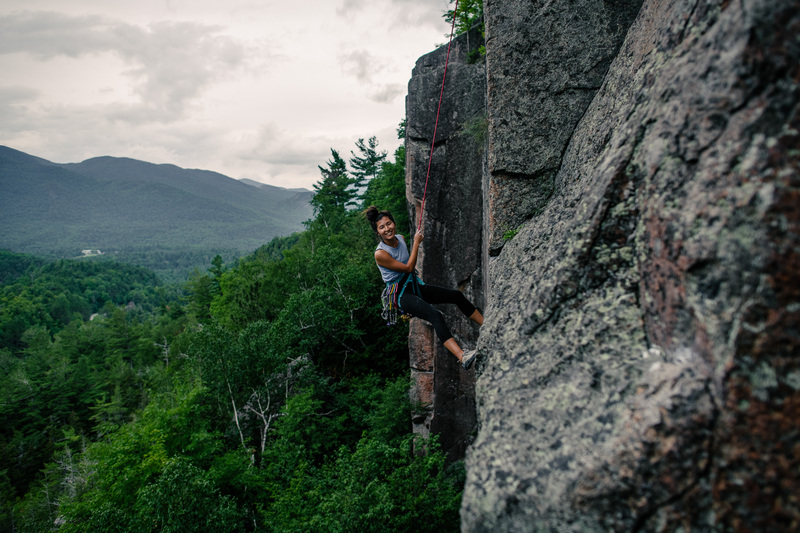 Thankfully, across the Northeast and the country, there are experienced professions in place to lend a hand when an adventure makes a bad turn. In New York State, that comes in the form of Forest Rangers from the Department of Environmental Conservation. But no matter how well they do their job, we would all probably prefer to not need their services and get out of the woods on our own. Luckily for us, the DEC is also a resource of information, regularly sharing the incidents that rangers respond to. Necessary reading for Adirondack explorers, we’re taking them a step further and adding commentary from experienced rescuers, emergency personnel, and backwoods folk, so that you might know what not do to the next time you’re outside, and how to avoid needing a rescue and being in the DEC report yourself. Would you do something differently, have another suggestion for ways to avoid these situations, or a question about the best thing to do? Leave a comment! View more incident reports from the DEC, here. 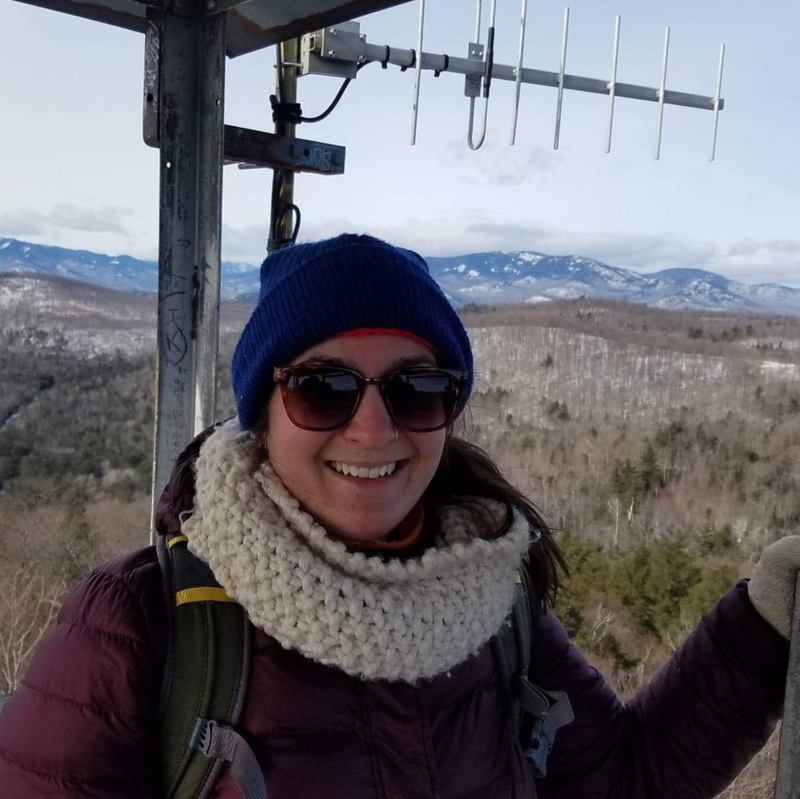 Town of Keene, Essex County: On Oct. 23 at 1:22 p.m. DEC’s Ray Brook Dispatch received a transferred 911 Essex County call from an injured hiker in the High Peaks. 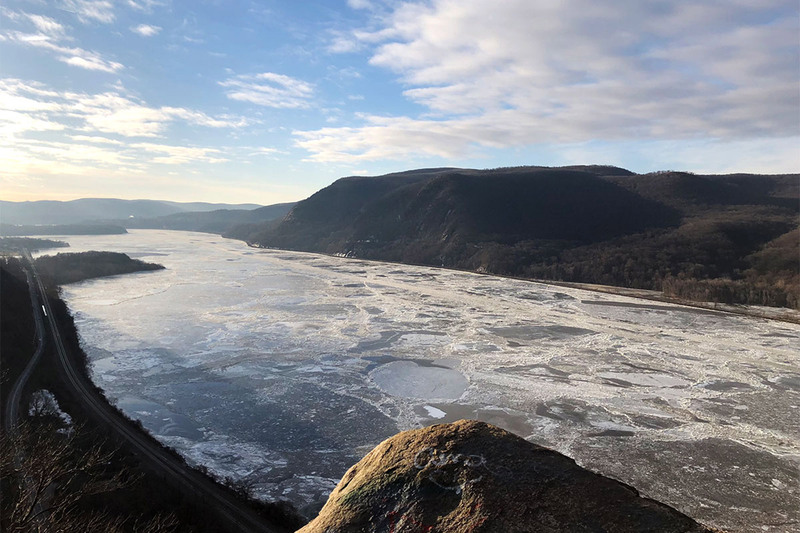 The hiker, a 42-year-old woman from Nederland, Texas, was descending the Algonquin trail just below MacIntyre Falls when she fell on ice and twisted her ankle. The injury was described as non-weight bearing. Seven Forest Rangers and two members of the Ray Brook DEC trail crew responded to assist with a possible carry out. 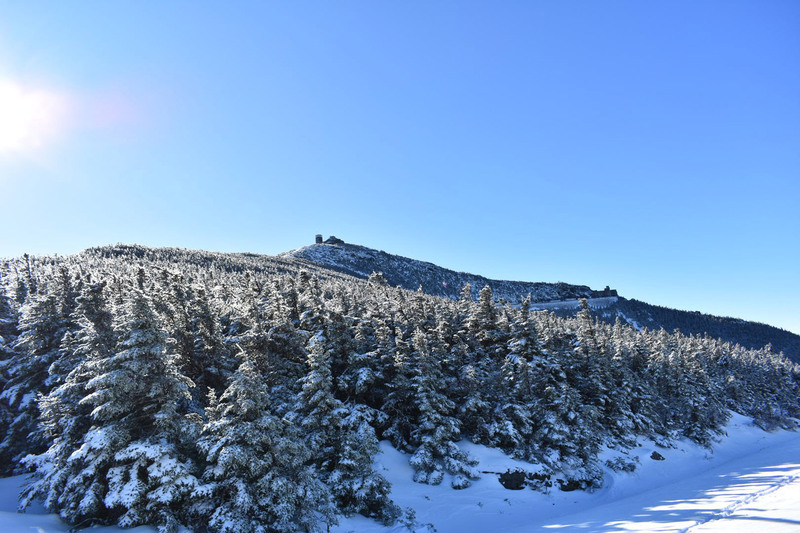 The first Forest Ranger reached the injured hiker at 3:10 p.m. After applying first aid and warming the hiker, the Ranger assisted her walking to the junction where the old Algonquin trail meets the existing trail. Rangers Daniel Fox and Kevin Burns arrived with a UTV and evacuated the woman and her gear out to the Adirondack Loj by 4:40 p.m. The hiker declined further medical care. 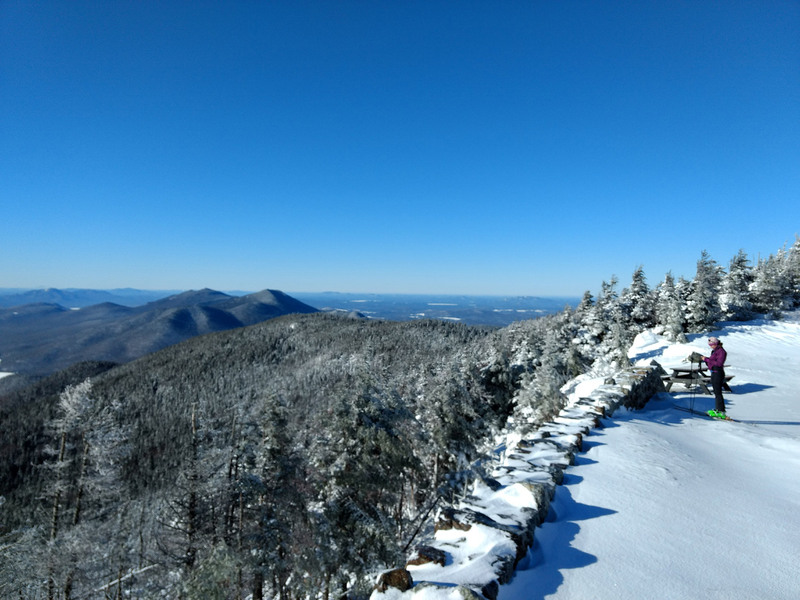 Town of Keene, Essex County: On Oct. 28, a 19-year-old Mount Sinai man and a 20-year-old Syracuse man reported to DEC Ray Brook Dispatch that they were near the summit of Mount Marcy when one of the men injured his knee after falling on the slippery terrain. Six Forest Rangers and the Lake Colden interior caretaker were dispatched to evacuate the pair. A rescue by helicopter was prohibited because of cloudy, rainy weather. The pair met up with one Ranger during their descent and continued to slowly hike out to Marcy Dam. 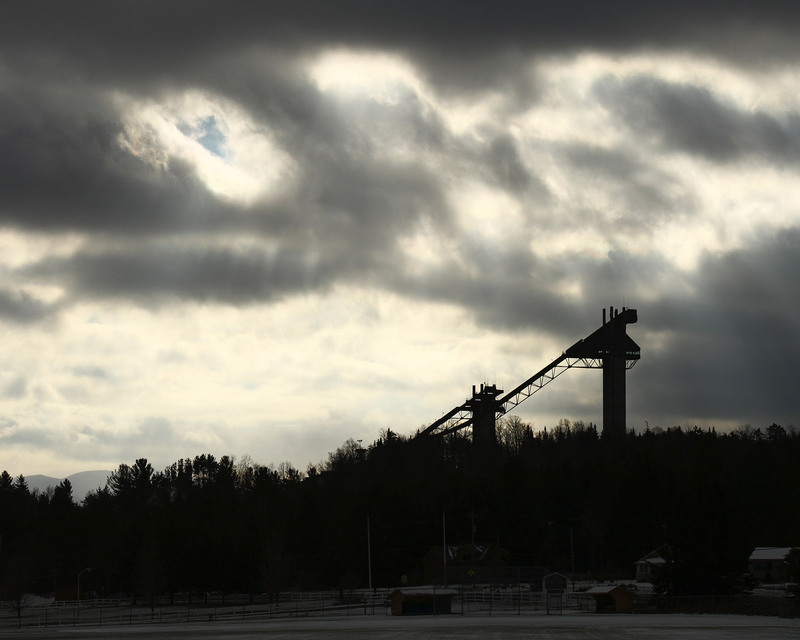 Within five hours of their call, the pair were transported by UTV to the Adirondack Loj parking lot, where both men said they would seek further medical attention on their own. Analysis: These two scenarios are similar as they both involve a slip leading to a fall, a lower extremity injury, and the cold winter-like weather that we had been experiencing at the end of this October. In the case of the first rescue near MacIntyre Falls, the rescue effort was roughly 4-hours shorter because of easy access to a road. 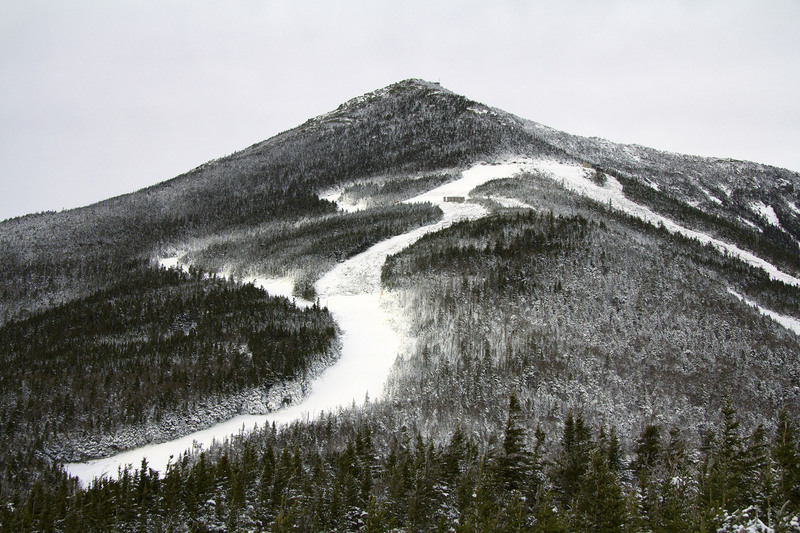 In more remote terrain on Mount Marcy, the injured person was much farther away from definitive medical care. In both cases, weather is an important factor to consider. 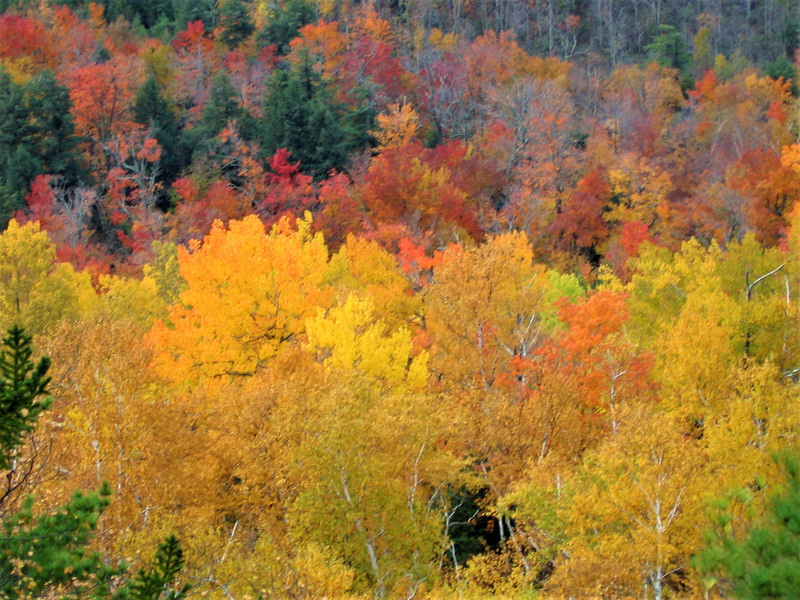 The Fall season in the mountains sees many accidents and injuries. The combination of a change in weather and the decisions of how to prepare for a late-fall hike in the mountains both seem to be significant factors. 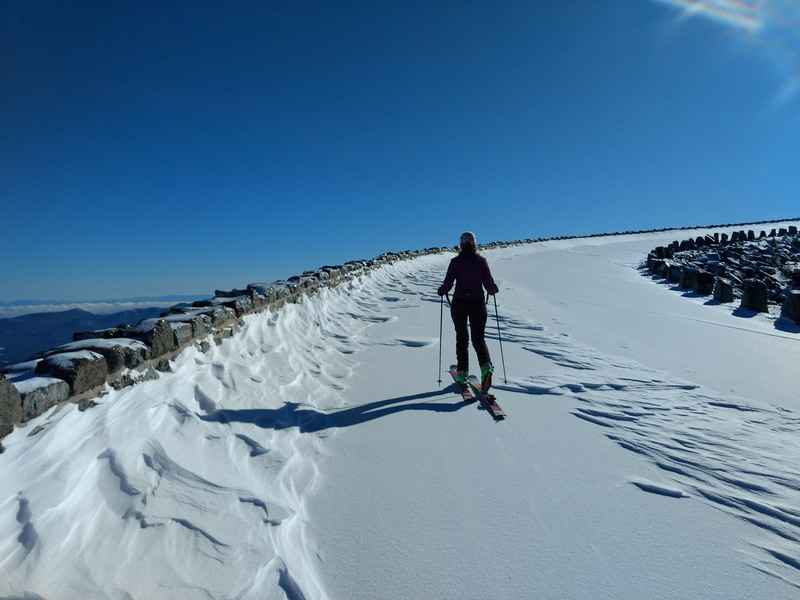 Often times the weather in the valleys can be quite pleasant at a lower, less exposed elevation, but in the High Peaks, conditions are much more winter-like with snow, ice, rain, cooler temps, and wind chill. One of the best ways to prevent slips and falls as the ground begins to freeze is to use a traction device on your boots such as Microspikes. Remember to look closely at the mountain-specific forecast for a more accurate depiction of expected weather to help guide your gear and route selection for a fun day out. 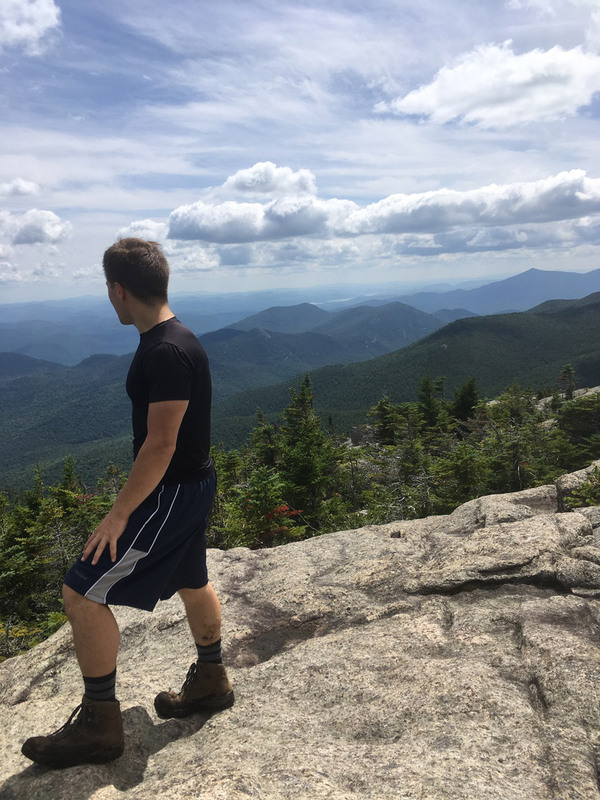 Town of Newcomb, Essex County: At 5:36 p.m. on Sept. 30, DEC’s Ray Brook Dispatch received a call from a hiker reporting his partner had injured his knee descending a steep, eroded section of the Mount Adams Trail. 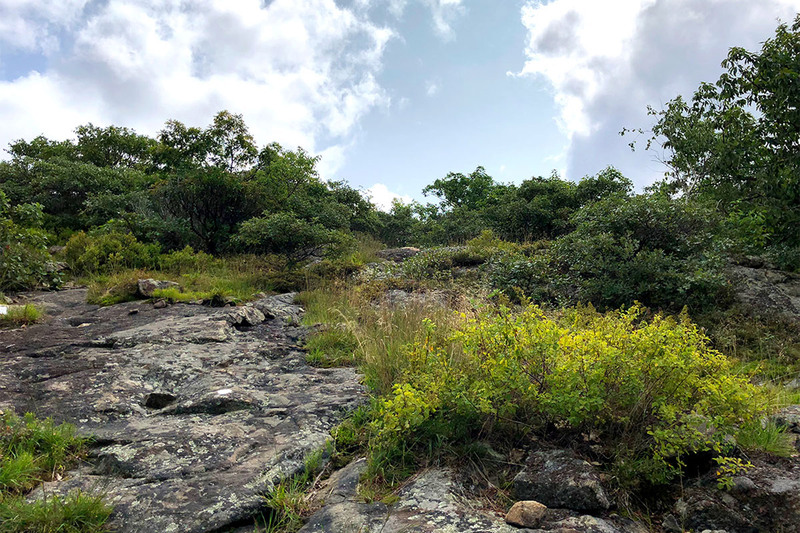 The 71-year-old hiker was located less than a quarter mile from the summit of the peak and was unable to put any weight on the leg. Under the authority of Lt. John Solan, several Forest Rangers and one assistant Forest Ranger were requested to assist with a night carry-out of the injured party. At 10:08 p.m., Forest Rangers arrived at the hiker’s location and provided patient care. Once the patient was stabilized and secured in a litter, Rangers began the difficult carry out to a staged six-wheeler at the base of the mountain. With slippery, steep, and hazardous conditions, the rescue required low-angle rope rescue techniques. At 1:20 a.m. on Oct. 1, the man from Tolland, Conn., was out of the woods and Newcomb Volunteer Ambulance transported him for further medical treatment. Analysis: This is an example of how a of a rescue in remote, rugged terrain can significantly affect the time it takes to evacuate an injured person. It took 5.5 hours for help to arrive to the location of the injured person. If this person had been ill prepared in inclement weather, a 5.5 hour wait without moving can easily lead to other injuries such as hypothermia. Additionally, had the party not had cell service, response time could double from going to get help rather than calling for help. Consider a GPS communicator for reliable communication and access to emergency help. 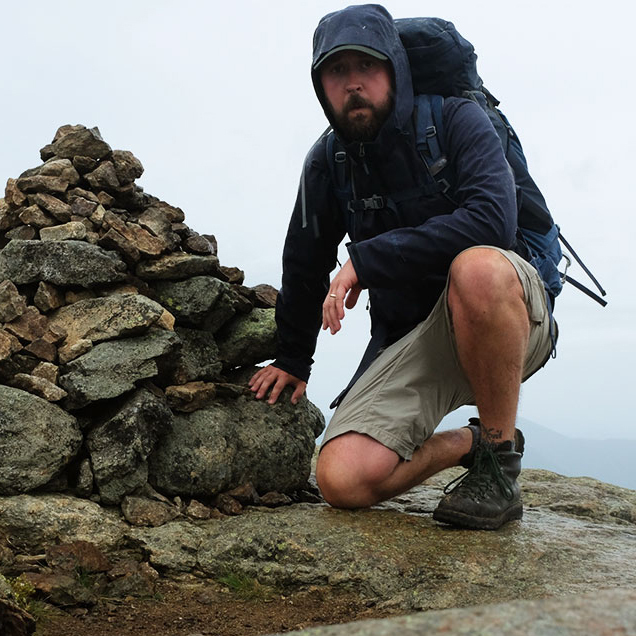 On August 19th at 9:30 a.m., I entered the Dix Range, solo, for an intended 18-mile traverse over its five High Peaks. I was running late. Many attempt the loop hike as a day trip, albeit a long one, so I had intended to start hours earlier than I actually did. Rather than change my plans, I would just have to hike faster. Simple. My gear consisted of three liters of water in a CamelBak, three apples, two Clif bars, two lighters in a Ziploc bag, a Swiss army penknife on my keys, a great pair of Scarpa boots, and an athletic T-shirt and shorts. En route to the trailhead, I texted my father the GPS coordinates and told him that if he hasn’t heard back from me by 9:00 p.m., I have died and he should search for me there. It was a bad joke that would only get worse. 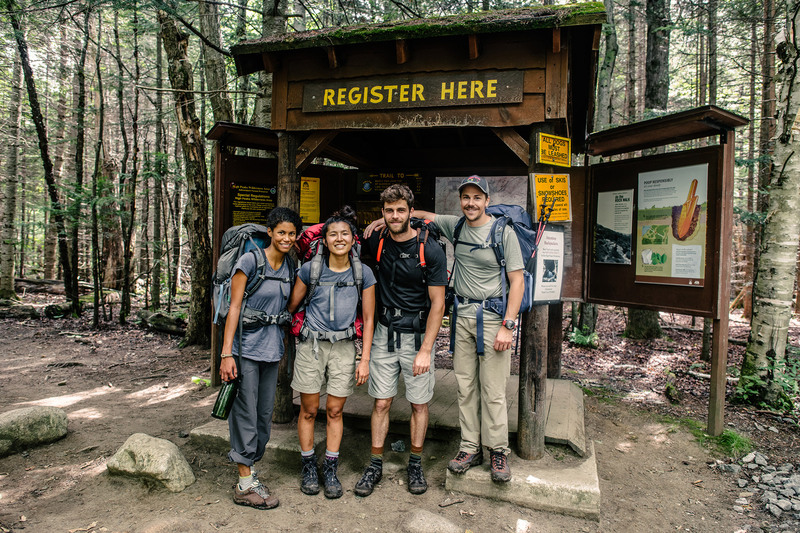 At this point, I had hiked primarily along the Appalachian Trail’s fully blazed trails, and climbed a half-dozen High Peaks before, all with clearly marked, easy-to-follow paths. I knew that some were marked less clearly, but I didn’t realize this route would be notoriously difficult to follow. The maps I had downloaded from AllTrails made it look like any other trail. At the same time, the GPS coordinates I was using as my starting point weren’t for the main trailhead, either. Instead, I set out from the Route 73 entrance on an unmaintained herd path. However, High Peaks guidebooks dropped this route decades prior. Cairns placed across the river, sometimes hundreds of feet away and with no clear path of boulders to leapfrog across, indicated river crossings. At junctions, a large broken branch indicated the turn. For someone who frequently gets lost in his own hometown, this was like hiking blindfolded. I lost a good hour and a half following this vague route and killed a large chunk of my phone’s battery while trying to follow the GPS track before I even touched a summit. Feeling the lost time, I started jogging. Then, my phone died in my hand. I put it back in my pocket, without saying a word. The quartet had entered the Dix Range from the Elk Lake Trailhead. At 4 p.m., they had just finished all five of their peaks, doing the loop clockwise and ending on Macomb. In retrospect, I should have abandoned my plan here and exited the wilderness with the group. That would have entailed descending the Macomb Slide with them to their car and bumming a ride back to my VW Beetle at the Route 73 entrance. That is not what happened. 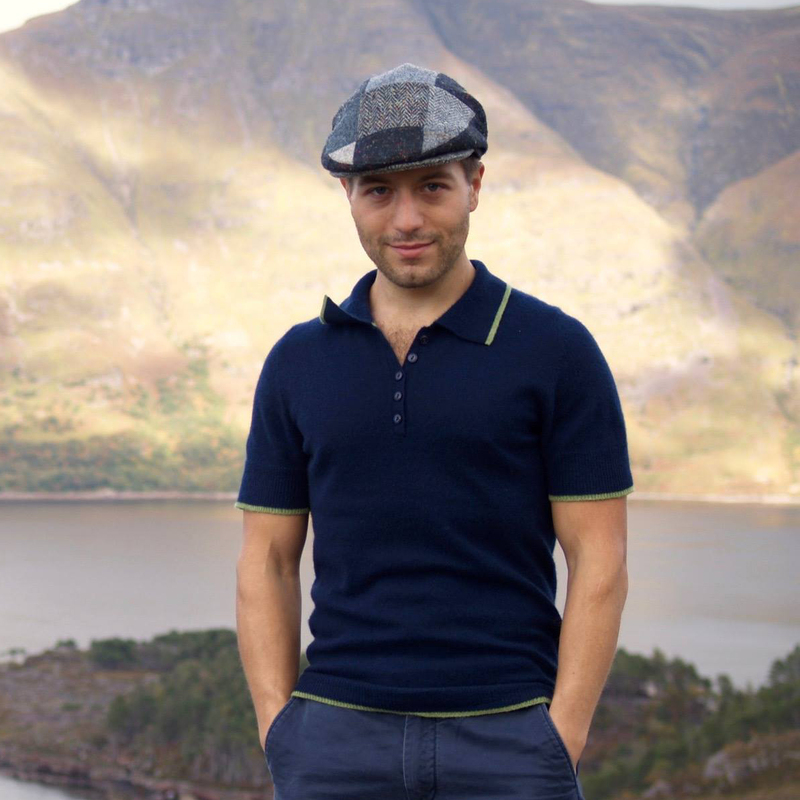 I fully understood it was now impossible to complete the full loop with the dwindling daylight, but I felt I could haul at a clip and retrace my steps back to my car without relying on joining the group of women. I even congratulated myself for the compromise, believing abandoning my plan signaled maturity. Without realizing, I had simply downgraded from the impossible to the extremely difficult, sidestepping a surefire successful exit. Giving up on completing all five peaks, I started running back down Macomb, retracing my steps over the three peaks I had summited earlier. 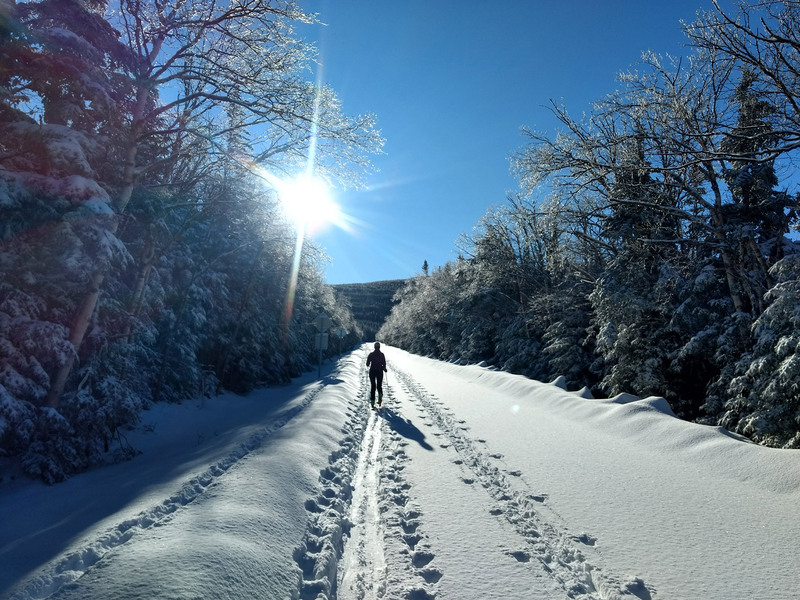 After returning to Grace, I knew I had minimal light left, but knowing I was off the peaks and in the last several miles back to my car buoyed me forward. But, the switchbacks on the river, already difficult to follow at a walk, were impossible at a jog. Ducking over and under boulders and waterfalls and navigating a route marked only by cairns, I lost my path, and doubled back. Was that pile of rocks a cairn? Was that branch intentionally broken to indicate direction? I found other herd paths that were not mine. I realized I was losing light fast, and was no longer sure I was even on the right river. Holding my hand to the sun, I had just fingers left of light before the horizon. Running through my inventory, I realized I had almost no equipment at all: no jacket, tent, blanket, iodine tablets, or anything. My focus shifted immediately from getting out of the woods to surviving them. I decided I needed to get a fire going to keep warm when the temperatures would likely drop into the mid-40s. There was no time for panic. I found a large downed birch near the bank of the river. It was perpendicular to its course and high enough off the ground to break the wind—perfect for me to lay back against. Then, I scrambled together firewood, until the last ray of light disappeared, and built a small fire in front of my improvised windbreak shelter. From 8 p.m. to 6 a.m., I fed the fire continuously, occasionally awakened by the cold whenever the fire began to ebb. I reached into the dark for my wood pile, fed, and adjusted the fire, before settling again into sleep. The stars were infinitely clear. Any rustling heard throughout the night never felt threatening. I was never particularly uncomfortable. Though I never forgot the gravity of my situation, the solemnity and clarity of my home for the night filled me with a peace and awe that I have never experienced so intensely before. Though I had little with me, I had just enough for the night. When I awakened again at dawn, the embers were down to nearly nothing. And, there was nothing left in my pile of dry wood. So, I resolved to bushwhack to find my herd path and get out of the woods on my own steam. I began walking up and down one side of the river, spending several hours being torn apart by shrubs and overgrowth. I found dozens of other herd paths, following many of them until their ultimate conclusion: nowhere. Sometime in the late morning, I realized it would be impossible for me to locate the path without more information, and that I was helplessly lost. While searching, I was wasting energy on a task I realized was fruitless. I cursed my lack of a map. I sat down and took stock. Panic crept into my mind for a minute or two as I steadied myself on a rock. The sky above started to take the bruised color of filling clouds. Searching any longer for the path would be useless, but I needed to get out of the woods before I had to reckon with a storm. In the early afternoon, I decided to stay put, hoping for rescue. In the river, a large sandbar mostly made of pebbles stood, flanked by a beaver dam on the downward side. I started making a signal fire from the driftwood. Remembering that birch bark burns oily and black, I leapt from the sandbar and scrambled up a mud wall. In those dozens of trips for birch bark, I cut long strips off a blowdown birch with my minuscule penknife. I had less than a liter of water by this point, so I couldn’t risk lengthy sun exposure. Instead, if I heard rotors or saw a chopper, I would leap out from the shade to throw more birch onto the fire and would hope they saw the smoke in time. For about three hours, I hoofed birch bark to the sandbar whenever I heard rotors up close, and threw pounds and armfuls onto the fire, trip after trip. Two or three times, I actually saw a chopper cresting the ridge. Eventually, I realized I needed to wrap my psyche around the idea that I might not be found for days, and thus would need to ration water for an unknown length of time. The deepening bruise in the sky also made me think the coming night would be a wet one. I couldn’t survive an unprotected windy night in the rain at sub-50 degrees, and had to make a lean-to. By late afternoon, I was far from starving. However, in an effort to prepare myself for being stuck in the woods for an indeterminate length of time, I decided to find something to eat. If it came to killing an animal, I wanted to cross that line earlier rather than later. Although the frog lurking at the river’s muddy bank was too fast for me, I noticed many orange salamanders with black spots (later identified as Eastern red-spotted newts). I am aware that slow-moving, brightly colored animals are commonly toxic. However, in this case, I figured eating a few would be an okay way to test this rule. I found two, said “I’m so sorry” aloud as I speared them with a stick, and cooked them over the signal fire. Because they were so unbelievably terrible, I presumed they were low-level toxic (I was right). Then, I attempted to figure out how to construct a lean-to. Out of the shrubs appeared a tall, clean-faced young man—younger than me. He had been in the woods for some time. 10 seconds prior, I was alone, having not seen another human for 24 hours. Now it was me and Pat, on a sandbar. An enormous DEC helicopter kicked up dust and leaves in a cyclone over the water. Pat leapt over the river to the sandbar and radioed to the chopper, now directly overhead. I had intentionally chosen a sandbar large enough for a chopper to land, but hadn’t anticipated the downdraft over the fire and the embers shooting into the sky. For a moment, it felt like a war rescue operation. Pat and I jumped back to pour countless Nalgenes of stream water onto fire. The chopper came down as a maelstrom of sticks, leaves, and dirt swirled around us. They strapped me into one of the four seats. Just like that, it was over. The chopper was unbelievably loud, and no one spoke. During the entire flight back to Keene, I didn’t spot a single sign of human habitation in any direction. I had ended up taking a tributary off the main river. My car, meanwhile, still sat several miles away, along another branch. Waves of green rolled in every direction as far as the eye could see. After my parents hugged me, the entire DEC team took turns giving me bear-hugs. My mother, of course, had already promised them that if they found me, I would perform piano pro bono at a DEC event. While I was sure the DEC would ream me out for my lack of knowledge, they were simply glad I came out unscathed. The DEC team’s professionalism in the High Peaks cannot be overstated. From interviews with my parents, they had built a whole personality profile for me, had dispatched a chopper, and had teams on foot canvassing the area. The officer my parents had spoken to at midnight the prior night stayed on his shift and didn’t leave his post until I was found. The world is a playground, yes, but comparatively requires a lot more respect and preparation. I have no illusions that a series of thoughtless, compounding errors built on cavalier overconfidence resulted in a huge mobilization of people, grey-hair inducing worry for my family, and a real risk to my life. I hope that sharing this story makes similarly overconfident folks pause to prepare, and to recognize the humble station that humans occupy in the wilderness. I’ve resolved to never rely on my phone for a map. And, to prepare for only the most ideal outcome, I’ll no longer bring the absolute minimum of gear. 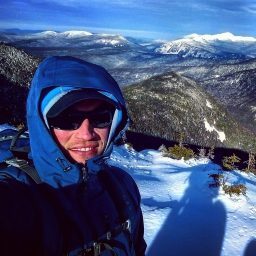 To take off into the High Peaks at any point, whether you’re anticipating an overnight or not, it is essential to bring a print map, a good compass, multiple layers (even in summer), iodine tablets, a good knife, and more food than the bare minimum, and to arm myself each and every time with prior research. Physical capacity and good survival instincts are no substitute for preparation. I survived the night and had a DEC Park Ranger find me. 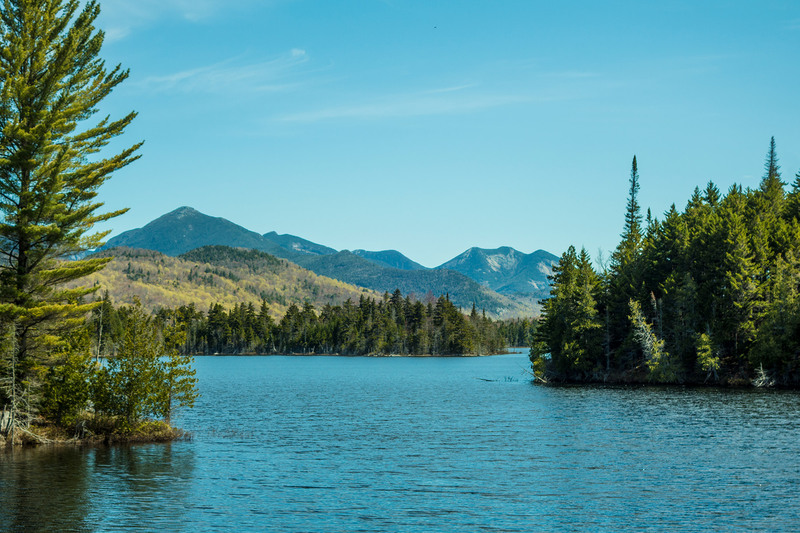 They choppered me out of the High Peaks from a fiery sandbar in the middle of a whitewater stream, framed by one of the Adirondacks’ most remote mountain ranges. While this enduring image humbles me, I’m still thankful for it. The knowledge I gained has put that much more of the wild world within reach. 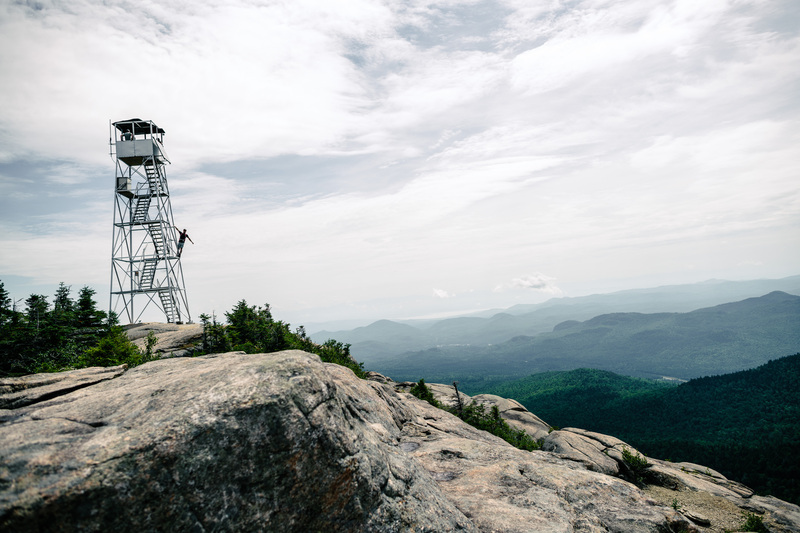 Town of Keene, Essex County: On Sept. 17 at 1:50 p.m., Ray Brook Dispatch received a call from a hiker advising that her husband, a 68-year-old male from Hinesburg, Vt., had suffered a possible fracture to his femur while hiking between Armstrong and Gothics mountains. The male hiker’s injury was non-ambulatory. Phone coordinates obtained by Essex County 911 placed the pair near the summit of Armstrong Mountain. Forest Rangers were dispatched to coordinate the rescue effort. 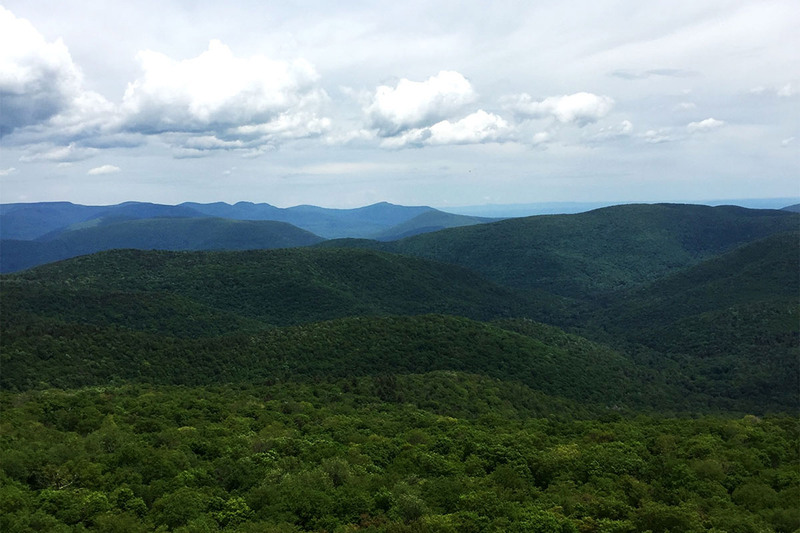 Three Rangers were picked up by a New York State Police Aviation helicopter and two Rangers were inserted on the summit of Armstrong Mountain. The Keene Valley Rescue Ambulance staged at Marcy Field with an Advanced Life Support crew. One Ranger was staged at Keene Valley Fire Department with a ATV in the event a hoist extraction could not be performed. 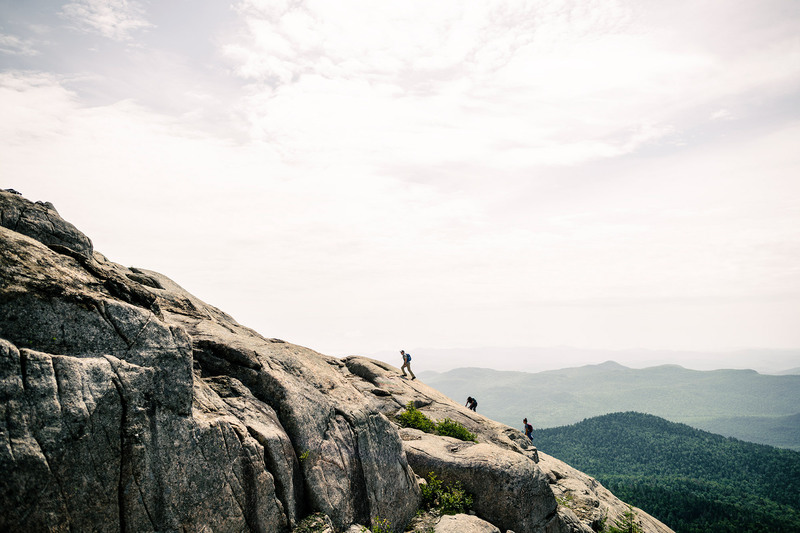 The Rangers inserted on Armstrong Mountain hiked down to the injured hiker, stabilized his injury, and outfitted him with a rescue harness. He was then hoisted out by the helicopter and airlifted to Marcy Field, where he was turned over to Keene Valley Rescue for transport to Elizabethtown Community Hospital. 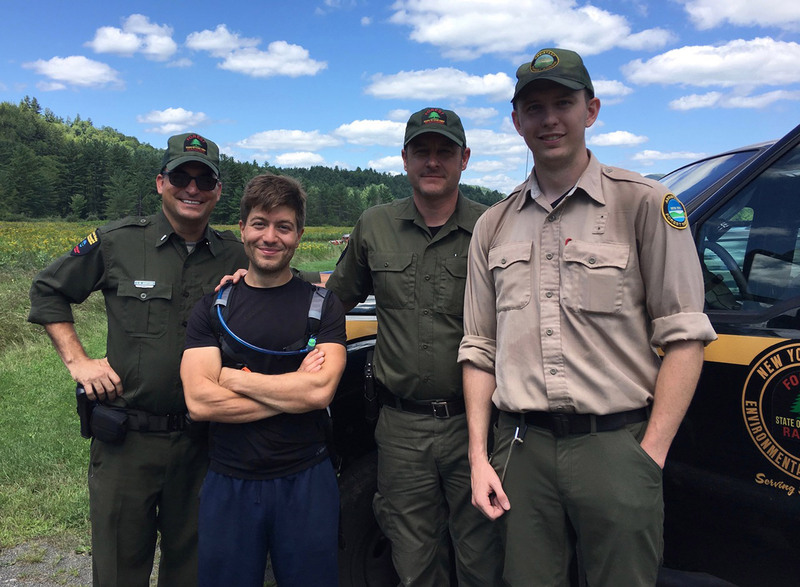 The Rangers that were inserted assisted the remainder of the hiking group out of the woods six miles with their gear, and the incident concluded at 4:30 p.m. Analysis: This is a great example of a well-coordinated rescue for a serious injury that went relatively quickly. A 6-mile carryout in rough terrain could easily take 12 hours or more and require many rescuers. A helicopter evacuation can often be much faster and safer for everyone involved in the rescue. Unfortunately, mountain weather and terrain can often prevent a helicopter from accessing an injured person in the mountains. It is important for recreationists to remember that access to a helicopter is not always possible and it should not be considered a reliable option in a backcountry emergency. Dealing with a broken leg in the backcountry is never an easy situation, but having a responsible hiking partner with some Wilderness First Aid training and supplies, reliable communications, and a thorough trip plan, can help greatly during a backcountry emergency. 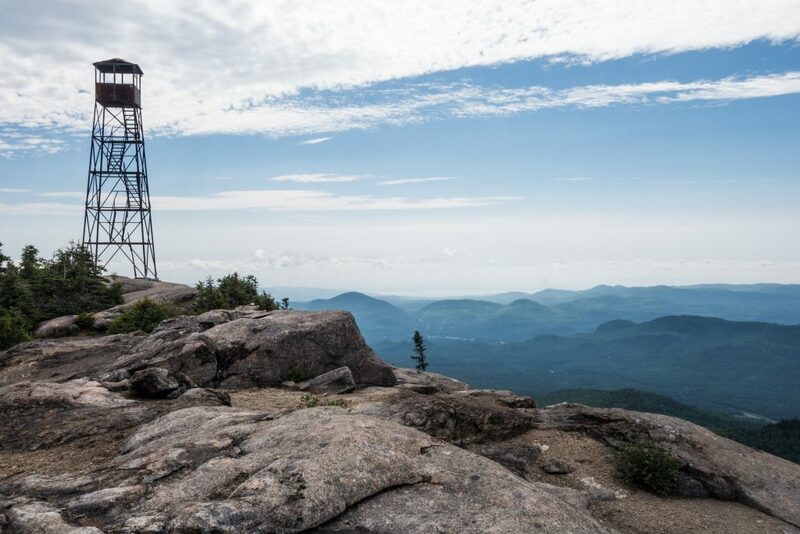 Town of Newcomb, Essex County: At 5:03 a.m. on Sept. 17, DEC’s Central Dispatch received a call for Forest Ranger assistance from Essex County 911 for two hikers lost on Allen Mountain. 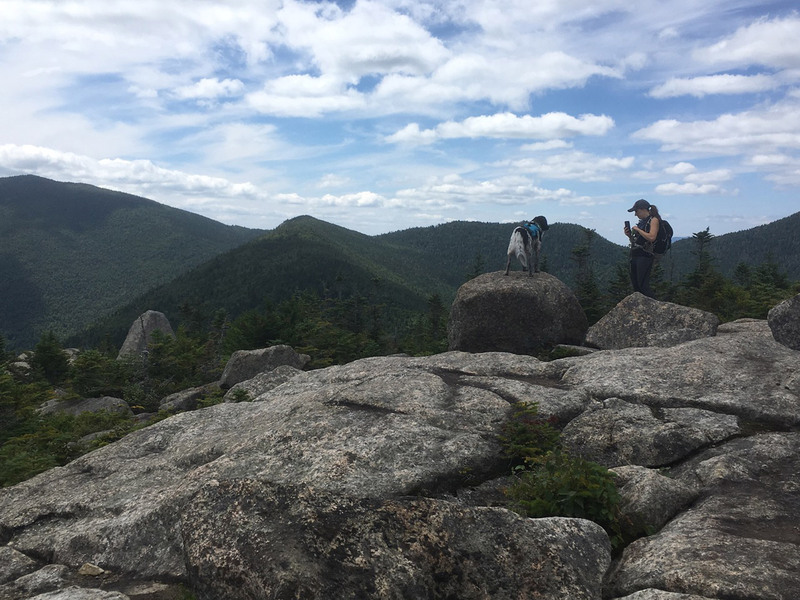 The group of three from Rochester had planned to hike Marshall and Allen mountains, but one of the hikers suffered a minor knee injury while climbing Marshall. The subject stayed at the Calamity lean-to with his camping gear while the other two subjects decided to hike Allen Mountain. On the trail, the pair became lost and spent the night in the wilderness. The next morning, they hiked up Skylight Brook to try to obtain cell coverage and called 911 for help. Based on the coordinates provided, Rangers located the two hikers, who were cold but in good condition. They were escorted back to the Calamity Brook lean-to where they were reunited with their companion and hiked out. The incident concluded at 2:30 p.m. Analysis: This situation is a near-miss after an unexpected injury changed the group’s travel plans. 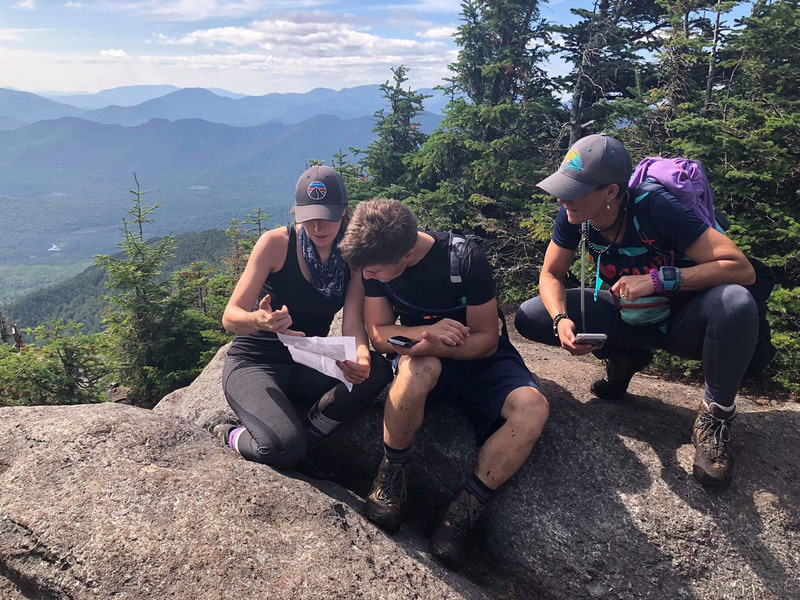 The hikers decision to split up, put two group members over 5 miles from from the injured member without communication resulted in an additional hiccup in the groups outing. The sum of unexpected outcomes and mishaps in the backcountry often lead to serious incidents with undesirable outcomes. 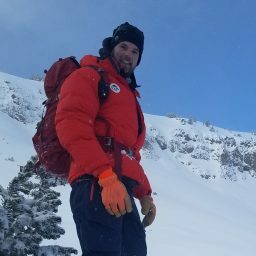 Had the weather been worse, in this case, spending a cold, wet night in the mountains can lead to hypothermia or other injuries and the hikers could have faced a much worse outcome. When unexpected mishaps happen in the backcountry, it’s always best to default to conservative decision making and come up with a new plan.